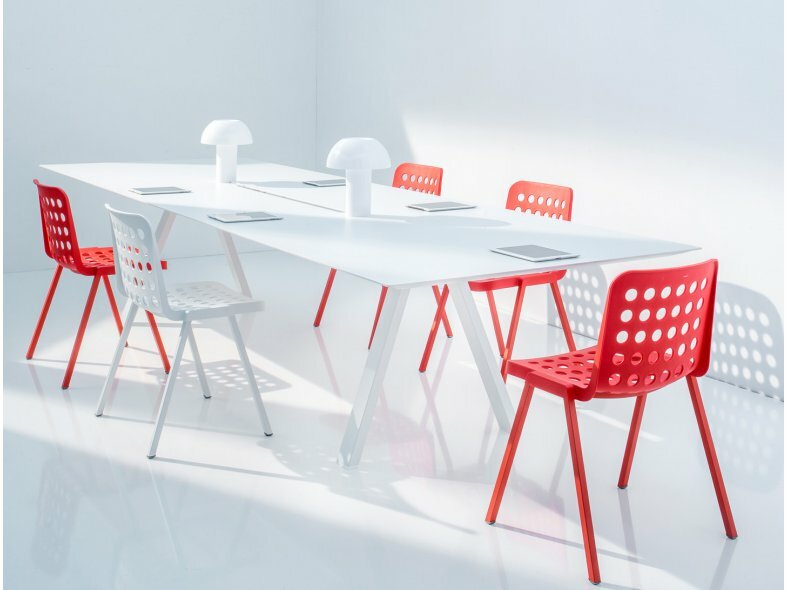 The Pedrali ARKI-TABLE family is available in three different versions with a solid laminate top, the frame made of extruded aluminium along with trestle steel legs. 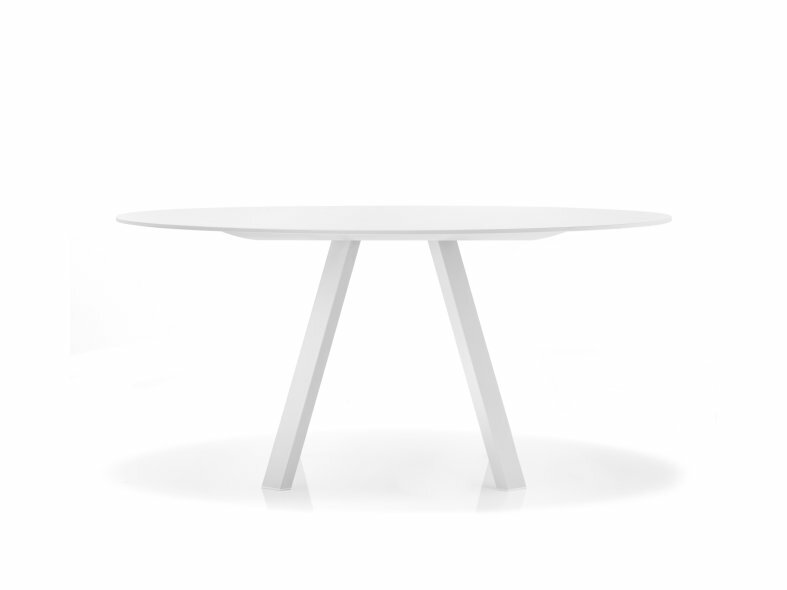 ARKI-TABLE is available in round, rectangular and square versions. 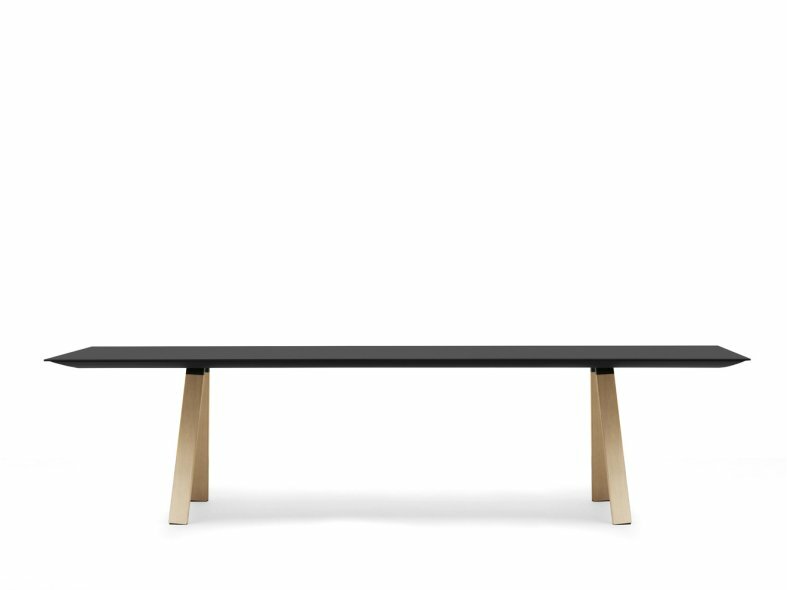 The ARKI-TABLE has lacquered steel or solid oak legs, with an extruded aluminium frame and solid laminate top in either 6mm and 12mm. Available in either white or black. A top with cable management is available as an optional extra.